Giving out free cheesecake may sound like possibly the most efficient way to bring joy and goodness into the world. But this is a fallen world -- full chaos, greed, and general grumpiness, and that general grumpiness was the downfall of what should have been one of the purest days in all of history. 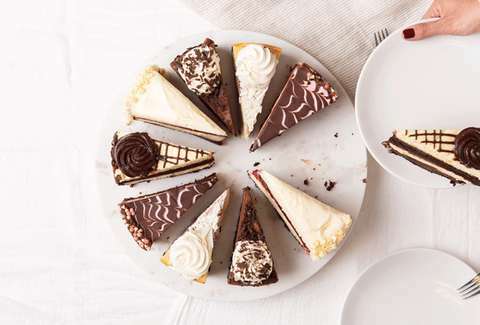 In short, Cheesecake Factory celebrated its birthday by giving out 40,000 free slices of cheesecake via DoorDash on Wednesday. Naturally, people wanted to take advantage. But things took a turn at one Cheesecake Factory in Clarendon, Virginia. According to a report by ARLnow.com, police and medical personnel responded to a location of Drake's favorite restaurant around 1pm after reports of a fight. When they showed up, the dispute was no longer in progress, but you can only imagine the ferocity with which the cheesecake battle was fought. The conflict was between delivery workers for DoorDash, who'd grown restless as the situation escalated around the "unruly crowd of delivery drivers inside the restaurant, trying to pick up orders, and a rash of double parking." Officers were working to “calm the situation down,” a ACPD spokeswoman told ARLnow.com. One person refused to leave the restaurant despite police orders, and a struggle ensued between him and the officers, which you can see in this tweet below. He was arrested and will likely be charged with disorderly conduct. He also reportedly "requested to be transported to a local hospital by medics for evaluation of possible injuries." "DoorDash was made aware of this incident, and we are cooperating with local law enforcement," a DoorDash spokesperson told MUNCHIES. This, as they say, is why we can't have nice things.